Some of the young men share a smile after services. Our altar servers come in all shapes, sizes, and ages!! 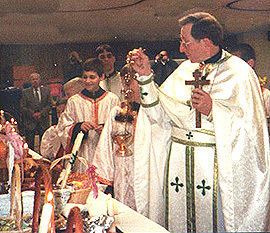 All young men of the parish are encouraged to be servers! 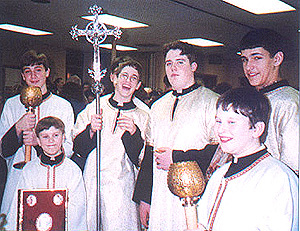 Some of the altar servers following the Priest as he blesses the baskets after the Holy Saturday service.